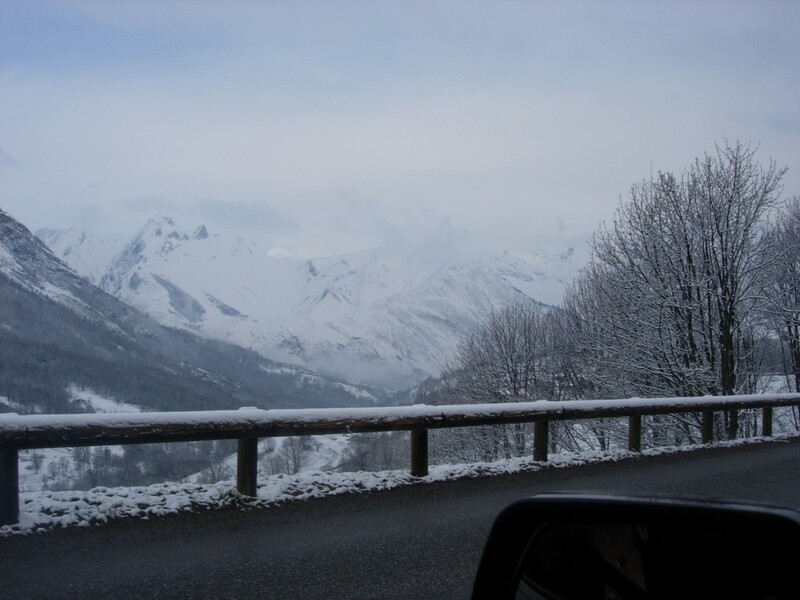 Did you know that travelling via motorhome can offer you a lot of freedom on your ski holiday? A motorhome skiing holiday can really help you get the most out of your holiday because you can easily seek out the freshest snow! 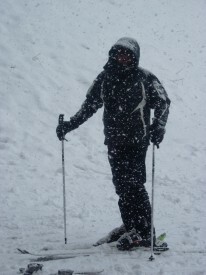 Ensuring that you get to ski in the best conditions. It can also cut the costs of staying in expensive chalets and spending money on transfers. We set off early in the morning with our skis packed safely in the motorhome’s convenient garage. The ski clothes all packed away in the cupboards, and more importantly, the fridge stocked for the journey. One last check that we had our passports and we were heading for the Eurotunnel. Once we got off the tunnel we headed for Germany. The friend’s that we were travelling with have family in Essen. We parked the motorhomes outside their apartment and after a drink there we headed out to a lovely restaurant. We stayed overnight in the motorhome and then in the morning we made our way to Wurzburg, which is in Germany’s Bavaria region. After arriving in Wurzburg we pitched up and relaxed in the motorhome for a while before heading out for a meal at a Chinese restaurant, which was only a couple of minutes’ walk from the camp site. We were all excited about the next day which is when we were due to arrive in Fieberbrunn so that the skiing could commence. We arrived early in Fieberbrunn and the chaos of getting the whole family safely equipped for skiing ensued. We all were relieved when all lift passes were zipped safely into jacket pockets and ski school was booked. After a successful day skiing (snowboarding for my son Will), we visited our usual bar for a couple of drinks. The kids nipped in for a hot chocolate and then were out playing in the snow. The Camp Tirol campsite where we stayed, has some wonderful facilities including a restaurant and an indoor and an outdoor pool. You can imagine how lovely the pool looks outside, with all the steam rising from it. We got up ready for those who had ski school, had breakfast and then headed for the slopes. We were really impressed to see that although it was only his second day on a snowboard, my son Will was really improving. After all the action and an early start, we were pleased to come home to a warm and cosy motorhome. Where we could relax and prepare ourselves for another busy day skiing. The ski school instructors put on a fantastic show every year! It is great entertainment and the kids always love watching it. The last two days were spent enjoying the beautiful scenery whilst skiing, the weather was kind all week too and meant that we skied mostly in the sun. At the back of our minds we always knew that we had the convenience of the motorhome if we ever needed to move in order to seek out some fresh snow. The week was finished off with a medal presentation for the children’s ski school groups at 3pm. We watched my son, Will receive his medal! When the presentation finished we headed back to the motorhome and stashed all our ski stuff in the garage. So we were ready to start our journey home. Being in the motorhome enabled us to avoid the traffic jams, which normally start late Friday and all day Saturday. Both children, after such a busy week went straight to sleep and we were homeward bound, already looking forward to next year’s ski season. The Motorhome Travel Agency can create the perfect ski holiday for you, tailored to wherever it is you want to go. We will even provide you with an itinerary and book your campsites for you — if you can dream it, we can create it.